We are very happy to announce that we have released our first market report directly available on the website. 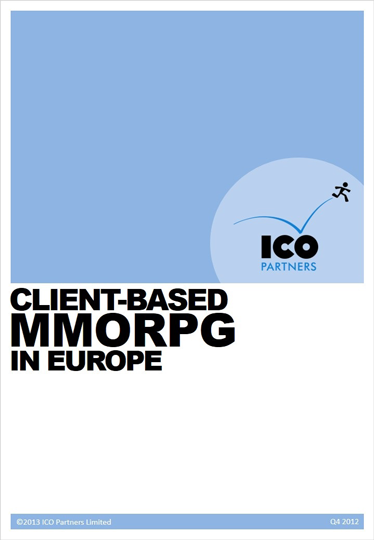 This is a very specialised report as we looked into client-based MMORPGs specifically, with a deeper look on how they perform in the largest countries of the region (UK, France, Germany, Spain, Italy and Poland). ● General overview of the market: global size of the market, respective size of the key countries, business models popularity. ● Key data for the main countries: market size, preferred payment types, most popular games per language. 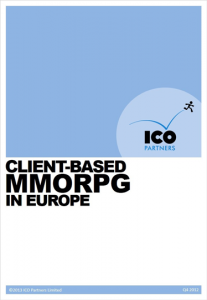 ● List of the client-based MMORPGs in service Europe. ● Profile for each publisher with estimated revenues. ● The client-based MMO market totalled $1.3 billion across its major markets in 2012. ● Three publishers dominate the space, generating 70% of all revenues. ● Germany is the largest European client-based MMO market with €474MM in 2012 sales, more than double the size of the UK market (€281MM) and France (€222MM). Since the inception of ICO Partners, it has always been our objective to provide more than our usual bespoke reports that we build for our clients. It took us some time to get to the point where we were able to build that first market report, and Diane has spent all her time for the past few months on it. Now that it has arrived, we have other segments of that market that we really want to dig into. You can expect more content on the Publications section of the website this year.